Veer was a microstock service part of the Corbis Group property of Bill Gates (Microsoft). It provided stock images and graphics under a credit-based system at affordable prices, and it had online community features. In 2016, Visual China Group (VCG) acquired Corbis and its satellite imagery brands including Veer, and merged them into Getty Images catalogue to distribute them outside Asia. That means that Veer is no longer in business, but you can find their entire library within Getty Images! In January 2016, the Asian stock photography company Visual China Group (VCG) acquired Corbis' main stock photo services and brands: Corbis Images, Corbis Motion, and Veer. VCG is a long-time partner to Getty Images (one of the top stock photography companies), and gave them the rights to distribute Corbis' images, integrating them to Getty's collections, as well as transitioning all Veer customers to iStock by Getty Images in March 2016, and subsequently closing Veer service. Veer as a microstock marketplace shut down effectively on March 31st 2016. But if you want to buy Veer stock photos, the images from Veer collection are now available at iStock. You can read or full iStock review here. And if you want to save money, you're in the right place. 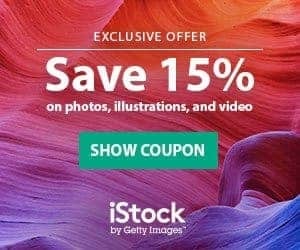 Our special iStock Promo Codes let you save 12% in all your purchases (both credits and subscriptions) at iStock, including Veer stock photos! And there's more: until October 31st, 2016, you can get an exclusive discount of 15% off your credit pack purchases! Veer is a microstock marketplace that is part of the Corbis Group owned by Bill Gates (Corbis Images, Corbis Motion, Green Light). 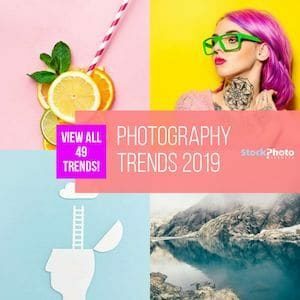 It was developed in 2009 as the microstock image and font buying website for designers and bloggers who wanted inexpensive stock photography. 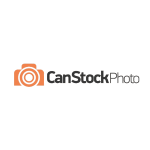 It is a community focused stock photo agency website that incorporates community gadgets and tools to encourage buyer idea sharing and purchasing. It is known for its extensive search capabilities and community features. Most buyers refer to it as the hip, cool, Soho community of stock photography and membership is gained due to this image. Accepts payment by Visa, American Express and MasterCard, through the phone, secure online purchasing, fax, and email. Invoicing privileges are available for those accepted under their terms of payment. Exceptional search abilities with keyword suggestion tool, advanced search options and price search. Free Fridays that feature free weekly stock photos, illustrations, and images. Their FAQ is extensive for members and contributors. Veer has their corporate headquarters in the Seattle with offices located in 50 other countries. The website reads your location. Currency and language are automatically configured. The Veer credit and direct cash options are transparent and clearly defined. Registration awards 10 free credits and they continuously run credit reward programs. Subscriptions are not a purchasing option due to the extensive credit buying program. Credits can be purchased in predetermined packages only. Veer offers one of the few direct cash purchasing option through credit card and invoicing (upon approval) procedures. All images and fonts highlight credit and direct cash prices so the buyer can compare the pricing structures. Once you find an image that is close to what you are looking for, Veer enables a further keyword search option that further defines micro-attributes that will get a buyer closer to their perfect image. This can include background color, hair color, clothing color, object color, etc. Veer has extensive licensing options that have are named and defined by them. Check the terms of service to ensure you are purchasing the right license for the correct use. The licensing options are Basic, Multi-user, Unlimited Reproduction, and Product for Resale. Though the segmentation is easy to understand, it is best to check Veer's definitions first before you purchase. Free Fridays-This is Veer's free day where they highlight free weekly images, illustrations, and stock photos. Free fonts are provided monthly. All free photos are included in the search options as well, so if a free image matches your keyword search, Veer will place it in the lineup of image choices. Note: Veer images are now available at iStock, whom also release free files every week. All you need to do to access them is to sign up for free on their website. You can see iStock's weekly free files at the bottom of their site's homepage. 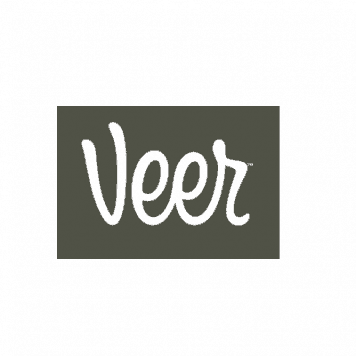 Community Pages-Veer has created a community for their buyers and photographers call Veer Ideas. 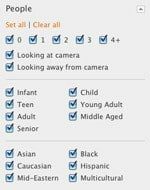 The features include two blogs, The Fat and The Skinny, a Portfolio area, Groups, and Chat. Veer also conducts many faces to face community events that are designer focused, encourage engagement and creates ways for them to increase development of an image submission on their website. Social Networks-The most active Veer social network is Twitter @veerupdate from the Calgary office. With over 14,000 followers and 1600 tweets, this far surpasses their Facebook fan page. The twitter feed is for buyers (there is a separate one for contributors) and highlights what new and Veer hype. Merch Retail- Merch is the name of the Veer online retail store that sells cool design products. Reward points can be used in the Merch store or for credit purchases. It is another community initiative by Veer. Extended Protection Plan for Buyers-Veer offers an extended licensing protection plan in case a buyer requires legal support with a licensing issue. The extended protection plan covers costs up to $250,000, a big jump from their $10,000 included plan. The price is undetermined but the offer is clear. Veer (now here on iStock) is not an inexpensive stock photo agencies though tey do have a great range in prices. To gain more contributors and more images, they are currently supporting their contributors more than their buyers. Veer is aware that they need more images and fonts for their stock photo agency if they wish to be competitive with the larger more popular stock agencies. It looks like a community stock agency but acts like a larger stock agency with extensive FAQ’s, long , descriptive licensing agreements/definitions, and higher prices. With the corporate support of Corbis, it is understandable why the legal portion of the site is so extensive. To buy Veer stock photos, vectors and illustrations, sign up for free at iStock. Their collection is now hosted and available for sale at iStock's library. To save money in your purchases, seize the offers in our special iStock Promo Codes: 15% off your credit pack purchases until October 31st, 2016, and 12% off credit packs and subscriptions valid until January 2017!